Should we step in, or mind our own business? Has the What Would You Do? TV show been cancelled or renewed for a 14th season on ABC? The television vulture is watching all the latest cancellation and renewal news, so this page is the place to track the status of What Would You Do? season 14. Bookmark it, or subscribe for the latest updates. Remember, the television vulture is watching your shows. Are you? Airing on the ABC television network, What Would You Do? explores how people react to strangers in uncomfortable circumstances. 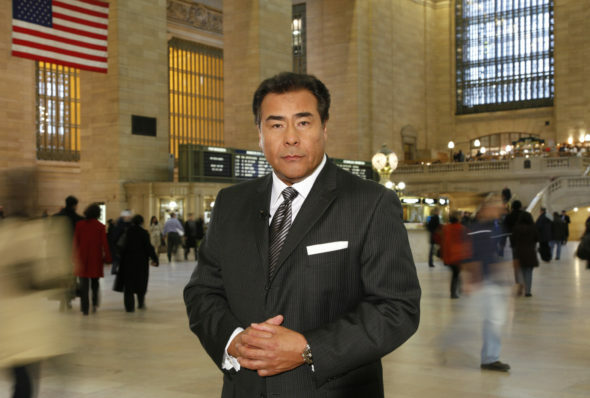 With host John Quiñones and hidden cameras at the ready, actors play out various scenarios, in front of unwitting bystanders. The TV series seeks to discover how and when people feel they must intervene and when and why they choose to mind their own business. Quiñones reports about how they made their decisions. Scenarios include displays of harsh parenting, bullying, controlling spouses, verbal abuse, and more. The summer of 2017 season of What Would You Do? averaged a 0.67 rating in the 18-49 demographic and 3.25 million viewers. Compared to the summer of 2016 season, that’s down by 9% and down by 1%, respectively. Find out how What Would You Do? stacks up against other ABC TV shows. On May 15, 2018, What Would You Do? was renewed for a 14th season, which debuts May 17, 2018 at 10:00pm. Stay tuned for further updates. When ABC let its Primetime news magazine series fall by the wayside, What Would You Do? dropped the “Primetime” banner and did pretty well as a separate series. In the last couple of seasons though, its ratings have dropped off fairly sharply. While for the fans sake, I hope it is renewed for another season, a television vulture has to eat, so I’ll keep a hungry eye out and update this page with any developments. I suspect it will see a 14th season. Subscribe for free updates on any What Would You Do? cancellation and renewal news. 5/15/2018 Status Update: What Would You Do? has been renewed for season 14, which debuts in May 2018. Details here. What do you think? Do you hope the What Would You Do? TV show will be renewed for a 14th season? How would you feel if ABC cancelled this TV series, instead? “What Would You Do” was an awesome show. I hope ABC or a cable channel starts showing it again. I love this show! Please come to my City and do a few episodes!! I met Mr Quiones! He’s brilliant!! Really hope they continue it. A great show to watch with the family. Generates lots of discussion. Also makes you feel good because there are wonderful people in the world who still stand up for justice. Love John & the show, hope it is renewed for more seasons after this. OMG! I certainly do hope that this show definitely comes back! It’s not only entertaining, it’s VERY thought provoking and one of the VERY RARE intelligent programs on network TV! TOO MANY”intelligent” programs have disappeared from the networks, across the board, leaving most of us (who enjoy shows that actually tried to make their audience THINK) to seek such shows on cable or, better yet, on ONE or other public broadcasting stations! I never did like this show. Watched a couple times. That was all I could stand.